Eclectic late night listening with Anne Hilde Neset. Performer: Adrienne Varner. Orchestra: Gamelan Pacifica. Conductor: Jarrad Powell. Lou Harrison: Scenes from Cavafy - Music for Gamelan. Performer: Ale Mboup. Performer: Khadim Mboup. Performer: Bakane Seck. Performer: Yatma Thiam. Performer: Laye Lo. Performer: Ibou Mbaye. Performer: Assane Ndoye Cisse aka Dingous. Performer: Abdourakhmane Fall. The John Baker Tapes Volume 1. Angie / Ashes To Ashes. Performer: Meredith Monk. Performer: Don Preston. Performer: Else Marie Pade. Performer: Jacob Kirkegaard. Performer: George Swift. 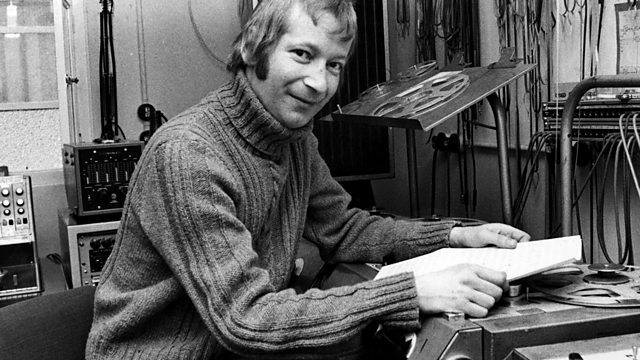 Music Arranger: George Swift. Pictures Of Sound: One Thousand Years Of Educed Audio: 980-1980. Performer: Issak Howell. Performer: Mike Gangloff. Performer: Nathan Bowles. Open Strings: Early Virtuoso Recordings From The Middle East, And New Responses. A History Of Every One. Performer: Oval. Performer: Agustín Albrieu. Performer: Burkhard Stangl. Performer: Christian Fennesz. Performer: Kourosh Yaghmaei. Performer: Bardia. Performer: Changiz Farjad. Performer: Fariborz Akhgar. Performer: Kamran Yaghmaei. Back From The Brink: Pre-Revolution Psychedelic Rock from Iran: 1973-1979.